North Coast Music Festival went down over labor day weekend, August 30th through September 1st, and took over Union Park in Chicago, Illinois. The festival, dubbed “summer’s last stand,” started in 2010 and was enjoying its fourth year in the Windy City. NCMF is put on by North Coast Music Group which is a collaboration of six independent promoters in Chicago. The lineup for this year’s NCMF was massive; Passion Pit, Wu-Tang performed 36 Chambers, Big Gigantic, Nas, The Disco Biscuits, Lotus, Gramatik, Emancipator, and many, many more. Although I had seen many of these bands of prior festivals this summer, I was more than thrilled to experience NCMF for the first time. I was living in the northern suburbs at the time and happened to know someone that had a house in northern Chicago right near a Red Line stop on their subway system, known as the “L”. I highly recommend taking public transportation to and from the festival, it ends at 10 so you can take a train or a bus right outside the festival – the Green Line’s “Ashland” stop is right outside the main gates of the festival. After many complications in getting to the city, we finally arrived at the house and were ready to be off to the festival. We hopped on the Red Line and transferred to the Green Line and got off at Ashland at about 6 PM. I walk over to the media tent only to find no one there. Confused I found a security guard and he told me they kicked everyone out because of a bad storm coming and they were going to re-open at 7. Well, after a tropical monsoon came through and flooded the streets and soaked anyone that could not get to cover, the festival was re-opened at 8 PM, not 7. Due to the emergency evacuation everything was pushed back an hour and the festival ended at 11 PM on Friday night rather than the scheduled 10 – score. Union Park is not as big as I had anticipated and they somehow managed to fit 4 good stages, and a 5th tent stage into the park. The size makes it easy to hop from stage to stage in minutes so you can catch multiple acts in the same time slot without an issue. Friday’s lineup was awesome. I checked out: RL Grime, that was an experience; AlunaGeorge, definitely check this duo out; Paper Diamond, you will not be disappointed; The Werks, a jam band out of Ohio; headliner, The Disco Biscuits, combined an amazing light show with tremendous talent on stage to give the audience a show they will not soon forget – definitely check them out; and Passion Pit, they get their own sentence…. Apparently their equipment had been destroyed in the giant storm and they felt it acceptable to have someone come on stage and DJ for their hour time slot. What the hell? They played some decent stuff, but then the trap came out. I don’t think any of those people went to Passion Pit to see them play trap and a bunch of other people’s music. Saturday and Sunday were both spectacular days. 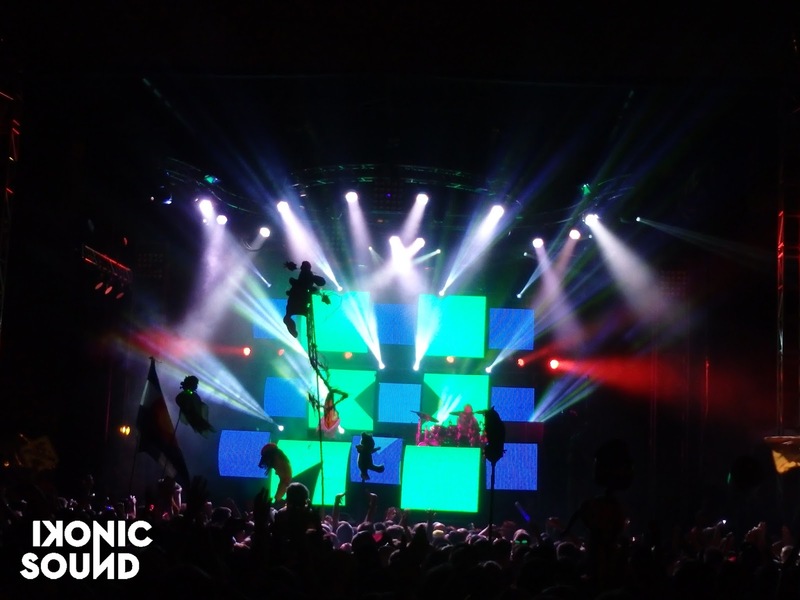 Big Gigantic, El Ten Eleven, Gramatik, and Seven Lions stick out to me from Saturday’s lineup. Sunday was another awesome day with Emancipator, Rebelution, Gary Clark Jr, Cherub, and Lotus bringing it home for me. However, unfortunately on Sunday night another bad storm was en route to Union Park and the festival production team was relegated to ending the festival half an hour early right in the middle of Wu-Tang and Lotus’ sets. Despite this setback it was an awesome experience overall. With a plethora of food and merchandise vendors, as well as live artists to check out, there is a never a dull moment and you should definitely take a minute to walk around and check them out. Good music and good vibes from people made the rest of the weekend something that I will surely never forget. The ease of getting to the festival and moving from stage to stage make this festival one for the music lover that wants to see as much different music as possible. My only complaint is the overall lack of drinking stations throughout the festival. With only 1 listed on the map in their official program, the whole crowd gravitated to this one station create some terrible congestion. Throughout the weekend I found a hidden water station between the Coast Stage and The Dos Equis stage that was not listed and had no wait because it took people some time to figure out it existed. But other than the dismal water refill stations, big kudos to the production staff and everyone involved in the festival, see you next year! 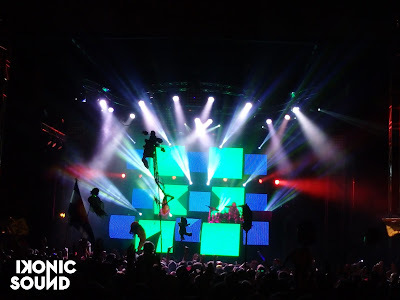 FOR MORE NCMF PICTURES, CHECK OUT OUR FACEBOOK!